The guest apartment St. Thomas is located in the oldest district of Strasbourg, in a luxury building built in 1903 in the Jungenstil style and totally renovated in 2010. 3rd floor with elevator, you will appreciate the comfort, calm and brightness of this fully furnished equipped for 4 people. The tram is 150 meters away, Central Station at 1.5km and all food and non-food shops within 500 meters. Weekend rental 3 nights or weekly, all charges and linen included. Perfect apartment for Christmas Markets! The apartment is large and comfortable, and the location cannot be beaten, especially for the Christmas Markets. 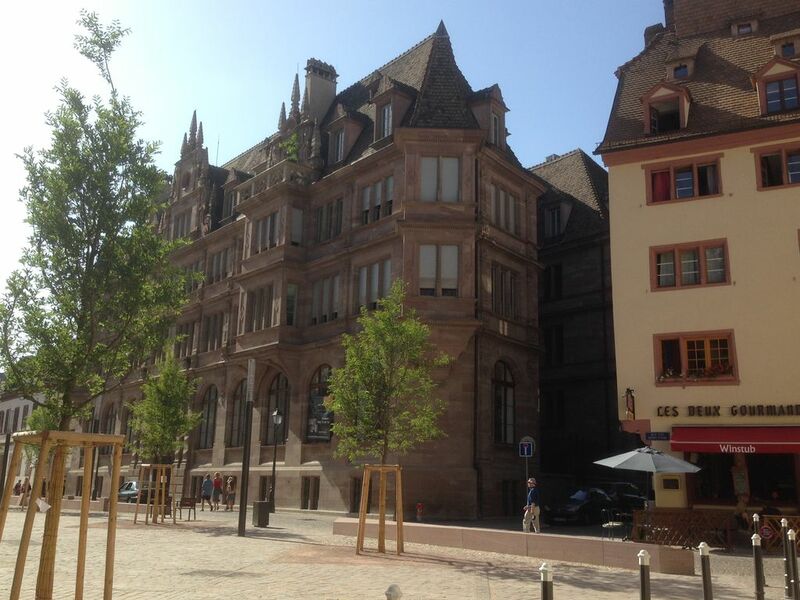 Great communication and an overall wonderful place to stay in Strasbourg! Tip: During the Christmas Markets the streets are closed from 11am-8pm, so logistics are difficult to get your bags to/from the apartment (if you pack heavy as we do). Just get dropped off at the St. Thomas bridge as that is the closest the cars can get, and then it's a short walk. Otherwise, arrange to arrive and depart outside of those hours so a car can access the street. Merci pour votre commentaire. Nous sommes heureux que vous ayez aimé Strasbourg et que vous en gardiez un excellent souvenir. Clean, Comfortable, Quiet, Centrally Located, Delightful Owner. This was our first rental on HomeAway and we were not disappointed. This flat was in a terrific location. It was safe and secure. It was clean and well appointed. It was so incredibly quiet! Christian was wonderful to work with. He was friendly, courteous, patient, and accommodating. He even gifted us an attraction book which allowed us to have such a good time in this beautiful city! We felt very much at home here. We will not hesitate to recommend this property to anyone. Thank you, Christian, for a lovely visit! Merci pour votre commentaire. Nous sommes très heureux que vous ayez apprécié le logement et que vous gardiez un excellent souvenir de Strasbourg. Christian has a wonderful apartment. Perfect for a couple or as many as 4 people traveling together. All the amenities anyone could need or want. Very spacious and comfortable. Located in St. Thomas square area in old town which is just perfect for dining, shopping and tourist sites. Highly recommend! Apartment was so pretty with wonderful views. Nice to have air conditioning and a few English channels on tv. Great location, pedestrian only, so be aware if you arrive by car, a bit tricky to find, but Christian was wonderful by finding us when we were lost. Highly recommend this apartment! Thank you ! If you come back to Strasbourg, we will be happy to received you. This is a excellent property, well maintained, in a quiet, secure building. The apartment is very well organized, with everything needed for living. The owners were very helpful. The apartment is centrally located close to both Petit France, and the Cathedral area, as well as being across the street from St. Thomas. We recommend this property highly, and would not hesitate to return for another stay! !